Beyond the Periphery features landscape paintings by Mary Cantline and mixed media art by Kris Rozelle. 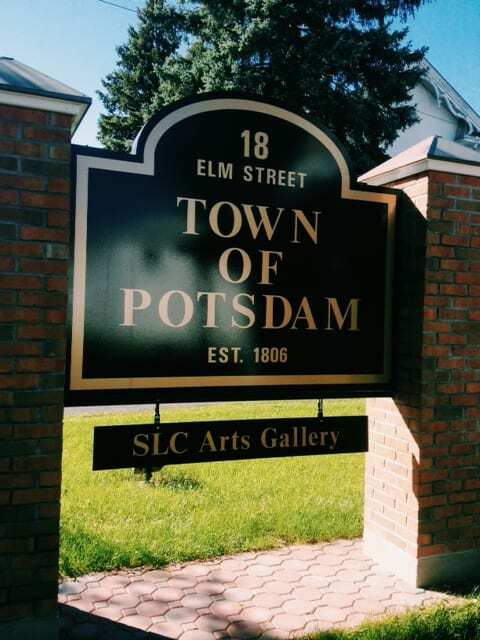 This exhibit is on display through June 8 at the SLC Arts Gallery at the Potsdam Town Hall, 18 Elm Street. Mary Cantline of St. Regis Falls creates landscape paintings which capture the natural light of rural Northern New York, both out-of-doors and from her studio overlooking the St. Regis River. Cantline’s paintings express the natural light, ever-changing color, luminescence, and atmospheric conditions of the seasons. The work of Kris Rozelle of Norwood reflects on personal journeys through pain, illness, hardship, joy, and peace – as a chrysalis waiting to break free. Her paintings are a conduit to her inner self and a way of reflecting and recounting where she’s been, where she is, and where she is going. Community members are invited to come as they are to visit this exhibit. It is FREE, open to everyone, and wheelchair accessible. Art sales benefit the artists and SLC Arts. The Gallery is open during Town Hall business hours, Mondays through Fridays from 9:00 am to 4:00 pm. For more information or to purchase artwork, contact SLC Arts.